The Commonheart. Image by Justin Boyd, used by permission. “And if you like us, TELL somebody”. Those words, spoken by Tampa-based guitarist/singer Selwyn Birchwood at the Pittsburgh Blues Festival in 2015, wouldn’t have meant as much decades ago. Back then, bands could count on radio airplay and MTV exposure. Record companies paid for tours and promoted their music. Today, a great many talented bands have to do it all themselves to survive. Ever since I heard Birchwood’s plea, I’ve tried to spread the word about Pittsburgh’s wealth of musical talent. Everybody knows the heavyweights: Joe Grushecky, Donnie Iris, Billy Price, Wiz Khalifa, Bill Toms, The Clarks, and Bill Deasy and Gathering Field. But at their shows, I try talking with other fans about bands that have sprung up in recent years. Too often, they look at me like I’m from another planet. Along with my soulmate (and now fiancée) Tammy, I’ve dedicated my last three summers to discovering more of Pittsburgh’s new music. I’m at it again this year, and my mission includes helping you figure out who else is lurking out there for your ears to discover. So here’s a little guide to five Pittsburgh-based bands. Best part of the deal? You can see them all absolutely FREE at least once this summer. When you’re living on a budget, “free” fits in there pretty nicely, right? 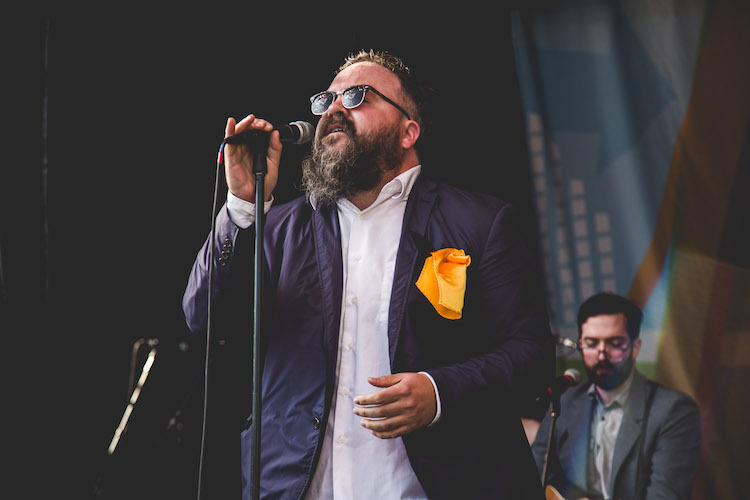 Chet Vincent has one of the most recognizable voices in the Pittsburgh music scene. His Neil Young-inspired voice has been heard around town for the past decade. His main project, The Big Bend, has released four albums — the most recent being 2016’s “Celebrate.” But Vincent often plays solo folk shows, as well as participating in many “open mic” shows in the city. He plays a free show as part of WYEP‘s “Final Fridays” series in Oakland’s Schenley Plaza (across from Carnegie Library) on July 27. It will be a full band show with the Biirdwatcher lineup. But don’t be surprised if you hear a few songs from The Big Bend albums as well. Chet Vincent. Photo by Mindi Harkless, used by permission. Paul Luc, a Natrona Heights native and Washington & Jefferson grad, grew tired of working in the corporate world. He put in his two weeks’ notice, and has focused on music ever since. Rolling Stone magazine named him one of “10 New Country Artists You Need To Know” earlier this year. But don’t be mislead — Luc is by no means a country artist. Sure, some of his music features a pedal steel guitar. But you’ll be disappointed if you’re expecting him to sing about a pickup truck. 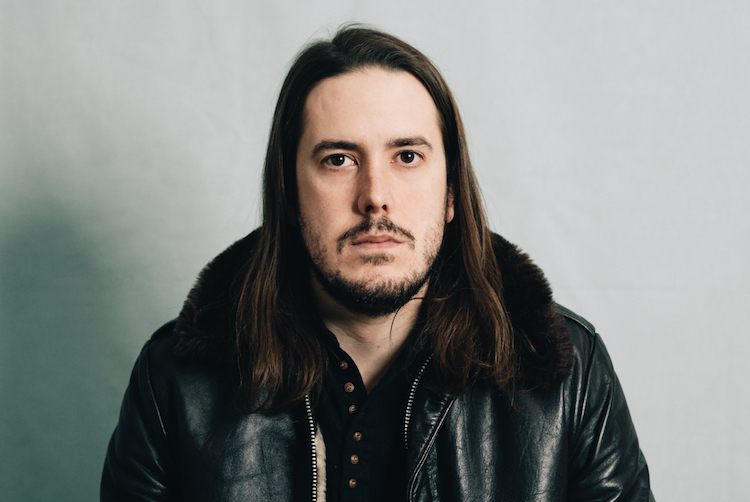 Luc’s third album, “Bad Seed” (released in February), was recorded in Nashville with a group of strangers, including a couple former members of Sturgill Simpson’s band. All of this without rehearsing a note! The results are spectacular, and it stands out as one of the best releases so far in 2018. He’s been on tour since, playing 10 states and three dates in Canada. His show at Mr. Small’s in March drew a packed house. Paul returns to the area this summer for two free shows. He’ll be at Vine Rewind on Penn Ave. in the Strip District (in front of the Pittsburgh Winery) on July 29 as part of a five-artist “songwriters circle,” and on August 31 at South Park Amphitheater (full band show). If you go to the South Park show, get there early: The park fills up fast. Showtime is 7:30. Food trucks will be available. Clinton Clegg performing. Image by Justin Boyd used by permission. 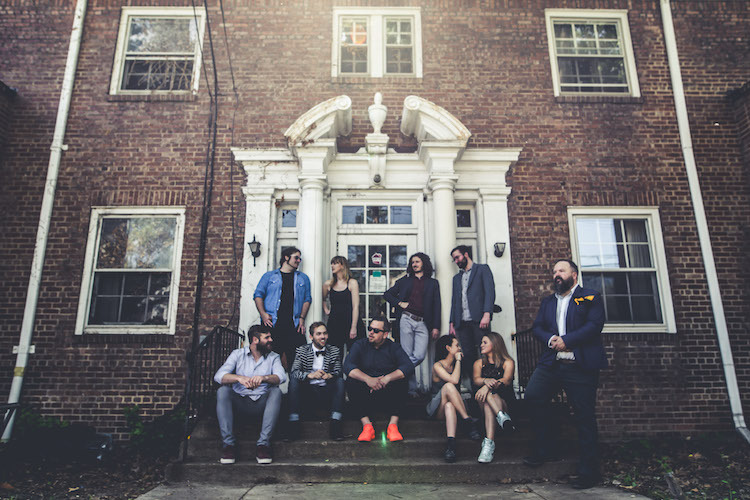 Influenced by Hendrix, Derek Trucks and Al Green, Clegg and drummer Shawn McGregor initially founded The Commonheart in 2014, as a five-piece band. They describe their sound as “soul rock,” with Clegg’s Cocker-meets-Allman voice leading the way. It’s the kind of sound that would be equally at home on WDVE or Soul Train. In 2015, guitarist Mike Minda arrived, and the band added horns and two backing vocalists. The result? An eight-headed musical monster with a bigger sound and songs of pure magic. Their first full-length CD, “Grown,” was released in November 2016 at a sold-out release party at Mr. Small’s. Songs from their still unreleased next album have been featured in their live set for some time, and they consistently write new material. They throw in a cover song on occasion, putting their own stamp on it, much like the Allman Brothers Band of the early 1970s. They’re not even afraid to take on a Pink Floyd or Led Zeppelin tune. Fear is a complete stranger to this band. The Commonheart have played all over the U.S. and even some dates in Canada. Maybe you already know them, but if you don’t this needs to be the summer you get acquainted with their music. April dates included playing at the NFL Draft in Dallas, and the New Orleans Jazz & Heritage Festival. September will see them play at the Outlaw Music Festival at the KeyBank Pavillion. They played Greensburg’s Summer Sounds series last year on very short notice. Making quite the impression on a crowd of thousands, the band was invited to kick off the series this year. You can see them for free this summer on July 14 at 7 p.m. at Irwin’s “The Gig On Main Street.” This band’s career gains more momentum by the week, so see them locally while you still can.